Specialty liquors are in a league of their own, creating a paradigm shift toward a whole new way of thinking about mixology. Each has an interesting twist in ingredients and bottles, and is distilled precisely to taste far superior and stand out in their circle. Specialty liquors each have their own spirit. The Copper Can Gives you easy access to the worlds -famous Moscow Mule in a can. 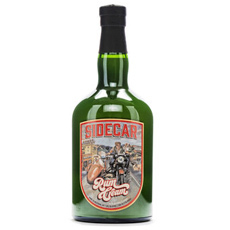 Sidecar Rum Cream, handcrafted in Bozeman, Montana. Whether on the river or just off the ski hill, our Rum Cream will sure hit the spot. Gather your friends, pour it over ice, or in your coffee, and enjoy! 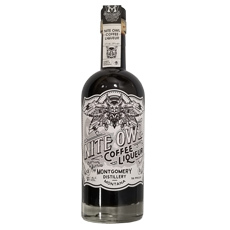 Stay awake for the good times with Nite Owl Coffee Liqueur made from sun-dried oaxaca beans grown at high altitude and roasted by Black Coffee Roasting Company. Nite Owl carries notes of dark chocolate and ripe strawberry from its varietal blend which marries perfectly with a cardamom infusion. Enjoy solo or in cocktails of your own wise invention. Palate: Notes of dark chocolate and ripe strawberry. These liquors are full of character and represent exactly what it means to be craft. Discover fun and exciting specialty liquors for great concoctions. Have something in mind? Is your mixologist missing something? Let us know at contact@abwholesale.com. For information about AB Wholesale’s full array of products, including craft beers, spirits, wines and non-alcoholic beverages, please fill out our contact form or call us at +1.701.805.1129.